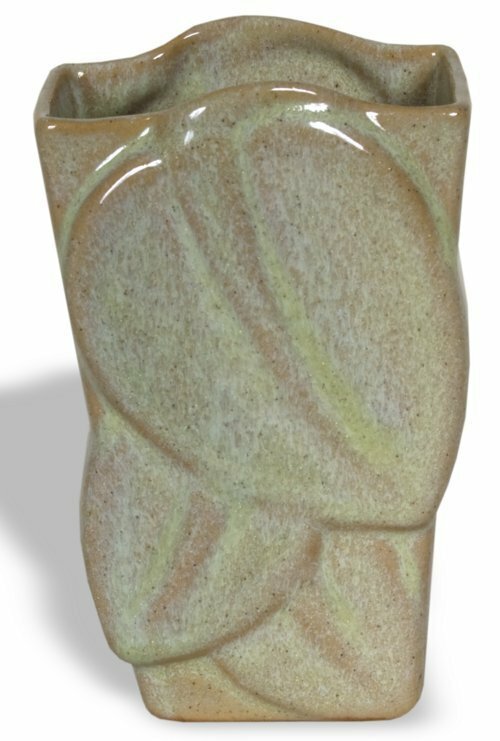 This pale green ceramic planter with a raised triple leaf design on front and back and a drainage hole in bottom was made by Dryden Pottery in Ellsworth, Kansas between 1946 and 1956. Founded by A. James (Jim) Dryden in 1946, the pottery made ceramics that were considered art pottery, as well as advertising materials and souvenirs. Dryden remained in Ellsworth until 1956, at which time the company moved to Hot Springs, Arkansas, due to a lack of tourism in Ellsworth.